« From ACT 6 Experience With Love: Linda Ruth Reports — HOT NEWS FLASH: Bo Sacks Admits: “PRINT AIN’T DEAD OR DYING.” The Last Chapter. 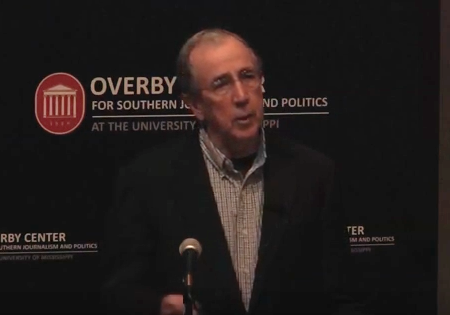 In late April, I attended the ACT 6 Conference, sponsored by the Magazine Innovation Center at the journalism school of the University of Mississippi. Samir Husni is the director of MIC. I have attended and spoke at each of these programs and as I have stated often have found them among the most significant and valuable publishing gatherings I have ever participated in, and believe me over nearly 40 years there have been a bunch of them. 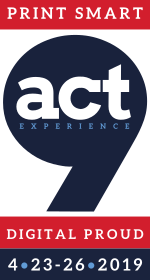 The unique quality of the ACT conferences is the participation of the students, undergraduate and graduate. Samir has turned the school into a pipeline of talented people into the magazine media world. The 2016 program celebrated print and the central role it plays in the broader realm of magazine media. And while troubling issues, particularly the newsstand, were examined, the atmosphere was encouraging, well actually it was exhilarating. The program has been extensively reported on via Samir’s website, www.mrmagazine.com, by Linda Ruth. However, I would still like to provide my own interpretation of my contribution to ACT 6, which was in fact the opening presentation and the lead-in the panel, “Reimagining the Newsstand,” assembled and led by Gil Brechtel, president of MagNet. The old magazine channel, that which existed prior to 1995, characterized by more than 300 wholesalers (of varying sizes and representing around 200 ownerships), operating in defined and dense market areas and with little competition, in its last full year, sold more than 2.1 billion units, worth more that $3.9 billion, and at a retail sell-through of better than 40%. Last year, 2015, the “modern” channel, with two traditional wholesalers and one direct distributor, sold only 453 million copies (less than 25% of the 1994 figure), whose retail values was only $2.5 billion (down 40% and less than half of the number for 2007, the last good year). On top of that, the sales efficiency was down to 26%. What Happened? Well, in short there were three channel explosions, in 1995, 2009, and in 2014, which severely altered the system; and there were two external factors that changed the environment for selling magazines: the Great Recession of 2008 and the warp speed technology developments which created a wealth of new platforms for delivering information and entertainment to consumers. In 1995, what had once been regional retail chains and had expanded their markets into mega-regions and even national, forced changes in the contractual relationships they had existed for more than 40 years with wholesalers. They forced wholesalers into providing delivery and supply far beyond the traditional geographies. It also ushered in a period of virulent competition among wholesalers, shattering the nearly universal discount structures that had existed, which were essentially established and maintained by publishers. Not only were gross profit levels distressed, merchandising costs escalated and signing bonuses, a new phenomenon for the business, were introduced. The result was a unprecedented level of consolidation and concentration in the channel. Within 18 months, there were only about 60 wholesaler ownerships, compared to 200 in early 1995. By 1999, four wholesaler management groups represented more than 90% of all retail sales. Despite their large size, all of them were widely acknowledged to be unprofitable. However, magazine sales levels were maintained and in some years managed to grow, dollars peaking in 2007 at nearly $5 billion. At the same time, magazine advertising, which of course drives the economics of publishing, was strong. The result was that, despite some general recognition of the distribution channel’s fragile finances, senior publishing management was generally content with its performance, even if it was wobbling a bit. However, the Great Recession of 2008 had an immediate disruptive effect on both the channel and the economics of publishing. Retail unit sales tumbled by more than 10% that year, the worst decline in history. The damage for advertising was even more destructive, estimated to be a shrinkage of as much as 26%. Almost simultaneously, magazine publishing was beginning to be noticeably impacted by digital developments. Mobile phones became much more than just telephony, moving into sources of information and entertainment. Not far behind them came the entry of tablets, notably the iPad, offering platforms for publishers to compete with their own printed editions. Publishing management appeared solely focused on how to expand their valuable magazine brands into digital formats, and not on repairing their damaged print circulation sources. Early in 2009, when it was clear that magazine retail sales were not going to recover the losses of 2008, but in fact that the decline would continue, Anderson News, then the second largest wholesaler with a market share of about 25%, took a controversial and risky step. 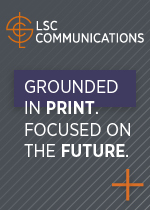 Having complained of financial losses extending back over a decade, they made two serious demands – a seven cents per copy distributed handling fee and for publishers to cover Anderson’s cost of instituting scan-based-trading. After it was clear that their demands would not be met, and some suppliers cut off supplies, Anderson ceased operations. For a short period nearly 50% of retailers did not receive magazines (Source Interlink Distribution had briefly made similar demands, but quickly backed down). It was as much as three months before most former Anderson-supplied retailers were being delivered by the three remaining large wholesalers. Thousands of small retailers never sold magazines again. After a court-ordered injunction restored publisher supply, Source Interlink, with a market share of an estimated 30%, survived the events of 2009. However it went through a structured bankruptcy soon after, later emerging as a private company. Yet, as retail sales continued to crater, the company’s financial situation became increasingly perilous. In an effort to get publishers to accept their proposals for different terms, the company reportedly began delaying payments. The strategy backfired, and the largest publisher-national distributor, Time Inc., stopped supplying Source in late spring of 2014. Source immediately declared bankruptcy and ceased all operations. Because they were virtually the only wholesaler in some broad geographies, magazine product was virtually non-existent in large swathes of the country. Even after the two traditional wholesalers and the surviving direct distributor took over delivery to much of the abandoned markets, like after the Anderson exit, a number of small retailers were out of the magazine business. Although the national economy was generally recognized as moving out of the Great Recession by late 2009, magazine newsstand sales continued to tank at a catastrophic 10%-annual pace. Two factors. The recession had changed consumer shopping habits in a radical way. Shoppers, who had cut out much discretionary spending during the worst of times, realized there were some things they didn’t need as much as they once thought they did. They were now sticking to their shopping lists, which affected, most deeply, impulse items, a major source of magazine retail sales. The lingering effect of the recession is often referred to as the recession hangover. Still, the biggest driver of the collapse of magazine sales was and still is the increase in social media, most notably through mobile devices such as phones and tablets. Take a look at the plight of the celebrity weeklies. 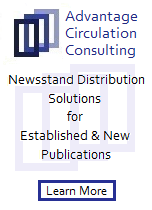 Their growth drove the magazine distribution channel through the last good year, 2007. Since then, their sales, including those of the unquestioned category leader, People, are off by more than 50%, and there is no recovery in sight. An audience interested in that milieu, thanks to mobile platforms, has access to whatever it wants on a 24/7 basis. No need to wait a week. Could the events of 1995, 2009, and 2014 have been prevented? It may be stretching the narrative to claim that these implosions, contractions, call them what you will, were avoidable, but none of them occurred without warning. Each of these staggering events were preceded by some levels of warning signs, which for various reasons, at all levels of the channel, were to varying degrees either ignored or discounted. In the immediate years leading up to 1995, retailers were increasingly frustrated with the lack of choice they had of magazine suppliers, at the same time as their geographical markets were expanding. In terms of the power of the magazine category, while unit and dollar sales were still significant, the impact of individual titles was waning. TV Guide, which had once sold more than 12 million copies each, was down to less than five million, and its new ownership, in place since 1989, was not as prepared to face down retailer demands. The number of wholesalers had been contracting for years, but in a gradual fashion, and in a manner that maintained the market density that was key to maintaining it as a profitable and enviable business. Yet, there were discussions taking place among some of the larger players about forming regional alliances that might better resist the increasing strengths of retail chains. Furthermore, publishers were generally comfortable with these discussions. However, the urgency was not there and retailers broke down the traditional structure before any cooperative efforts became realities. The most surprising element of the events of 1995 was not the fact that retailers took control, but the speed with which the shape of the channel changed. Virtually overnight, the dynamics of the business were no longer those which had been maintained it for 40 years. When 2009 dawned, the channel was widely acknowledged to have been financially broken for well over a decade. Yet the economic changes that had occurred were literally applying band-aids when surgery was required. If significant restructuring was to have taken place, it was up to the major publishers to take the initiative. Yet, until only the year before, advertising was generally strong. and at senior levels the attitude of publishing management appeared to be that there may have problems in the retail distribution channel, but it had staggered along for nearly 15 years, so why shouldn’t it continue to do so. Obviously, they were wrong. 2014 was in many ways a replay of 2009. As a senior printing executive said in effect at a conference not long after Source collapsed, we saw all the warning signs in each of these catastrophes, but we did nothing to avoid them. Will we do anything now? For the most part, the response of publishers appears to be a possibly inevitable disenchantment with newsstand sales, and a determination to maintain print rate bases through aggressive subscription marketing and expanding their brands into digital media formats. One problem with that is it does nothing to stem the erosion at retail, which could fade away to the point of irrelevance. Is that will happen to that American icon, the newsstand? Yet, it still has a role, even in a period of diminished expectations, for publishers. It is central to the launch of new titles and remains important to the maintenance of a publication’s brand. Yet, it is only the largest publishers who can take the steps needed to save the channel. To date, it has not been demonstrated that the willingness is there.